Helena (Helen) Jean was born to parents Henry and Alida Vande Vegte on March 24, 1936, in Doon, Iowa. Siblings Allen, Lyle and Lila followed. Lyle died in infancy. When Helen was in grade school her family moved to Bellflower, CA where she attended Bellflower Christian School. In her high school years at Bellflower Christian she excelled in softball, basketball and volleyball. In Helen’s junior year, her brother Allen introduced her to his good friend, Harold Van Duyn. Helen dated Harold through high school and they graduated together in 1954. A year later, on August 12, 1955 they were united in marriage at Bethany CRC in Bellflower. The newlyweds spent a month long honeymoon traveling in a 1954 Chevy. Helen and Harold were blessed to start a family when Randy Lee was born. Less than a year later Ricky Dean came along and two years later Cheryl Ann was born. Helen kept busy raising these children while Harold supported the family as a truck driver. Having a servant’s heart, Helen opened their home and cared for her mother, Alida, who was battling cancer. Alida succumbed to cancer a short time later. In 1962 Harold and Helen moved into their second house in Lakewood, where their 4th child, Robert Jay was born. The couple moved into their third house in Bellflower a few years later where their 5th child Ryan Wayne was born. Out of great love, Helen consistently had the kids up early before school to read Bible stories as they ate breakfast together. Another priority was making sure the kids had each memory verse and catechism lesson learned. She helped with homework when needed and most importantly taught them to love the Lord. For many years, Helen was involved in the Calvinette and Coffee Break ministry at Bethany CRC where she and Harold were long-time members. Helen loved vacations with the family which included water skiing, fishing and house boating. She also enjoyed many years of RV traveling and site seeing with her husband. Helen was fun loving and enjoyed playing games as well as sitting outside soaking up the sunshine and watching the birds. In 2004, Harold and Helen moved to Ripon CA and became members of First CRC where they were involved in senior activities. God blessed the couple with more than 63 years of marriage. 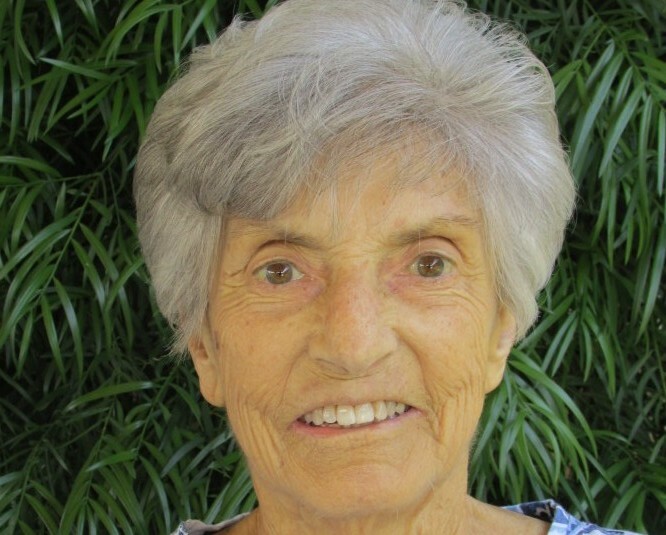 Helen went home to her Lord and Savior on Friday, December 14, 2018. She will be greatly missed and forever remembered as a faithful wife, strong and loving mother, gracious mother-in-law, proud grandmother and special great grandmother. She was kind, patient and compassionate. The needs of others were put before her own. She faithfully loved her Lord and Savior above all and was a humble, Godly example to her family. Those thankful for sharing her life are her husband, Harold Van Duyn; children: Randy (Mary Jo) Van Duyn, Lakewood, CA; Ricky Van Duyn, Ripon, CA; Cheryl (Ken) Williams, Oakdale, CA; Robert (Lori) Van Duyn, Ripon, CA; Ryan (Christy) Van Duyn, Manteca, CA; 10 grandchildren: Jason, Eric, Todd, Jesse, Josh, Erin Joy, Ryan, Ross, Reid, Rachael and 16 great grandchildren: Taylor, Samantha, Nolan, Madison, Hayden, Kacie, Wyatt, Frankie, Lance, Reece, Logan, Reagan, Graysen, Hudson, Hunter and Gracie; brother Allen and countless more family and friends. Helen was proceeded in death by her parents, Henry and Alida Vande Vegte, brother, Lyle, sister, Lila Vanden Berg, and grandson, Baby Van Duyn. Thank you for being a part of Helen’s life and for the thoughts and prayers offered to console our hearts. Please join us now in thanking God for His promises and rejoicing for her new life in Christ!